I run a YA and Teen book blog but do review other things, too. 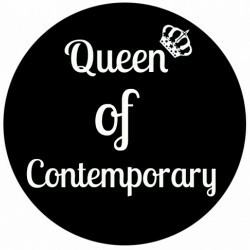 My blog, Queen of Contemporary, has been running since April 2012. 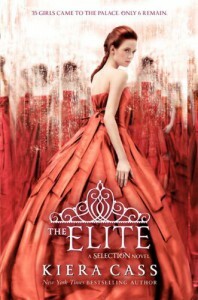 A copy of this book was provided for review via NetgalleyTo say that I loved The Elite would be the understatement of the century. I had my theories as to what would happen in this novel but there were so many surprises and so I was just so pleased with everything that had happened.Sometimes in YA, sequels can be a bit of a disappointment but, in my opinion, this was miles better than The Selection. There was more action, more character development and, most importantly, more Maxon.It's no secret that I was strictly Team Maxon when reading The Selection but in this novel we get to see more of Aspen and I actually grew to really like him. I'm actually really torn now between Aspen and Maxon because I think they'd both be perfect for America but I would like to keep Maxon for myself so I'm hoping that science will develop soon and it will be possible for book characters to travel to our world.With the competition whittled down to six girls- the Elite- the book is a lot more focused on them and we get to see a lot more of the characters. There were quite a few scenes that were key to character development and we're given subtle hints for the next book in the trilogy. My parents got very annoyed with me when I read this because I couldn't put it down. I wanted to read through the night but sadly had school the next day so couldn't. I would have done, though!The Elite will make you gasp, shout at your book/Kindle and also cry. I know I had to pull myself together because I was about to go to school and didn't want to be seen with a tear-stained face! I was also very close to throwing my Kindle out of the window because some scenes were so painful and sad. I have no idea how I'll last a year without the third Selection book; I know it certainly won't be easy! I love these books so much because they're fun, refreshing and a really great read so I'll be buying the third as soon as it comes out.